Evans & Tate focus on maximising the quality of their fruit, through a careful selection of site and choice of varietal clone, to produce wines with elegance and intensity, stylish and refined. 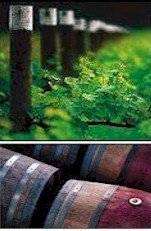 Metricup Road is made from fruit grown to vineyards located in the central and southern reaches of Margaret River. Assembling fruit from strategically located terroirs constructs a regionally articulate style of Chardonnay, which blends the concentrated stone fruit flavours of central Margaret River, with the finer, more mineral citrus and tight palate structure of the south. Pale to mid straw with youthful green rim. Pristine Chardonnay aromas of stone and citrus fruits overlay savoury notes of toast and dried herbs. Varietal flavours of white peach, lemon citrus and melon fill the palate, natural ferments in French oak and extended time on yeast lees contribute savouriness and lovely creamy texture. Drinking beautifully now, the youthful fresh flavours make it a match to sauteed white meats in Chardonnay jus.